Setting aside the quickening of time factor, (another expression for another day), the simple truth is, — your clients and your prospects does not feel encouraged to interact with you because, you do not inspire them. More often than not, you have been dishing out half-baked product updates at trade shows, using the same kiosks and booth designs that does not infuse them with any new thoughts, or, nudge them to participate in your presentation, because, you have messaged it with the SOLE FOCUS ON YOUR PRODUCT. 1. THEY HAVE A 3LB supercomputer sitting on top of THEIR shoulders, hardwired to perform brilliantly. 2. Together with "programmable software" (a.k.a. THE mind), THE brain WANTS TO BE AMAZED AND PERFORM amazing feats. 3. THEIR brain consists of more than 100 billion cells (10 billion are neurons; 90 billion are "helper" cells called glia) whose primary function is to form synapses for the exchange of information. "A superior, highly stimulated brain has the capability to create as many as 100 trillion different synapses or pathways"
If your PRODUCT PRESENTATION IS THE SAME AS IT WAS THE LAST YEAR AND THE YEAR BEFORE LAST with TWEAKS HERE AND THERE — YOU ARE ESSENTIALLY PARTICIPATING IN HELPING YOUR ATTENDEES to rely on their existing neuronal pathways — Eventually, those well-trodden pathways become ruts... and THEN, THEY TUNE YOU OUT. You JUST BECOME A THIRD VENDOR THAT THEY NEED TO GET A PRICE QUOTE FROM. The good thing is you are here and now and you want to make a difference. You WANT TO DO MORE, YOU WANT TO BE MORE — "The more you ask your brain to do, the more cortical space it sets up to handle the new tasks. 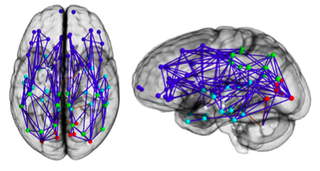 It responds by forging stronger connections in circuits that underlie the desired behavior or thought and weakening the connections in others. Thus, what you do and what you think, see, or feel is mirrored in the size of your respective brain regions and the connections your brain forms to accommodate your needs." So, let's begin — Sit back, relax and take it in. If you are skimming, you are missing the point. Whether it be a lavish lounge or a simple space, design it with thought that creates natural conversation around your brand offering. This is the space where you get to display your art and connect with the brains of your audience at an emotional and intellectual level level. 1. Bunch of packing white boxes with larger than life illustration. However, the way it is arranged, boggles the mind. The boxes, purposefully mis-aligned in some key areas, breaks down the visual monotony and your eye keeps looking and searching — the brain has been fed with new information — it is used to looking at flat static walls or flat digital walls. 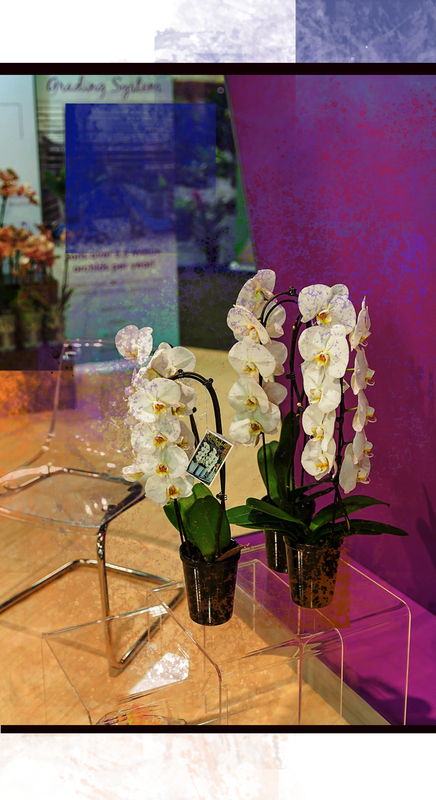 This arrangement challenges the mental abilities of your booth visitors. 2. 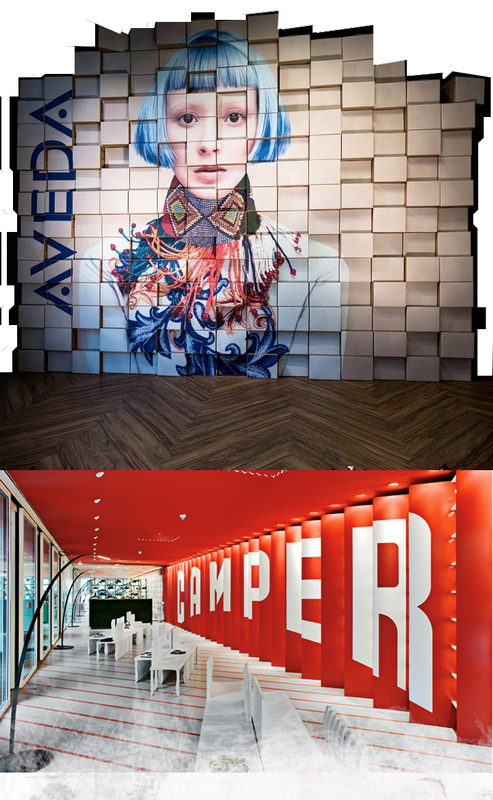 Camper — It is true that a humans are most attracted and judgmental towards another human face, however your visuals can be an exploration in extra ordinary typography. If you want to portray yourself as a brand that breaks rigidity this a simple and effective way to show it. 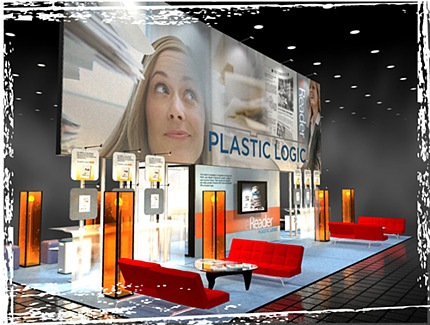 If this is the style that suits you be sure to design your booth space that has an entry point from the front and one side only. The reason being, from the opposite side, the text will look very different. "The desire to explore never leaves us despite the classrooms and cubicles we are stuffed into"
Often you will hear your management say, 'If it is not broken, don't fix it'. Yet, EXPLORATION is the reason for your existence, it is a design formula that is embedded in your genetic make up. "Exploration is what you do when you don't know what you're doing. That's what scientists do every day. If a scientist already knew what they were doing, they wouldn't be discovering anything, because they already knew what they were doing." Meeting your sales quota, gathering X amount of leads is the mantra of the marketers. In doing so, they are missing the very essence that makes us human. Very soon, they loose the 'interestingness' factor in them. When they loose that, do you think the brands they are representing will do any better? "'Interestingness' seeks out the riddle of life. It gives us a reason to turn the next page, to see the next scene, to give form to the unknown." 1. Lumine Co. Ltd is a chain of Japanese shopping centers. Looking like something Alice might encounter after falling down the rabbit hole, the sophisticated space satisfies our exploratory brain. The kiosk structure in the exhibit space for Lumine Co. Ltd.'s chain of shopping centers was a 15-foot-tall tower covered in an assortment of drawers and cupboards. "Inside some of the drawers, attendees found objects that called attention to Lumine's experiential attributes, including its public spaces, fashion shows, and restaurants. Higher up, more esoteric accessories, such as paper airplanes and a hot-air balloon, referenced the elevation one feels while engaging in a little retail therapy." 2. 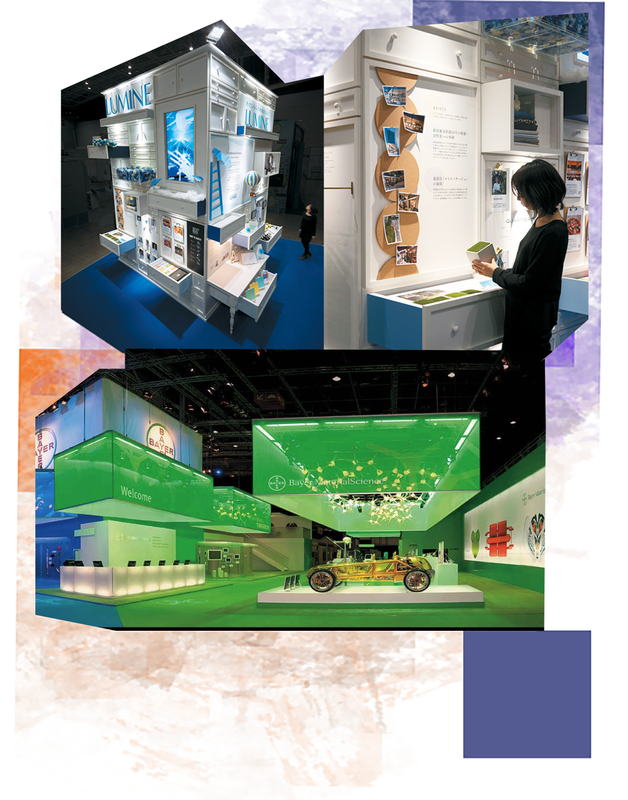 Bayer Material Science — Other than the booth space being divided into blue and green themes, BMS wanted to designate the green space to cater to the imagination and curiosity of the show attendees. The blue area, dubbed Vision Works Today, represented products made from BMS’ materials that are currently on the market. The green area, labeled Vision Works Tomorrow, showcased prototypes for products in development. Just an observation — the car of the future still have no wings. "FOR THE FIRST TIME IN HISTORY, IT IS MORE DIFFICULT FOR BIG BRANDS TO GAIN UNCONDITIONAL CONSUMER TRUST THAN IT IS FOR A START UP BRAND"
Today, to give the illusion of a great product is quick, easy and indeed very delightful. Build an enticing video, throw in some great packaging design and weave in a story of sustainability — you are there. People will start talking and sharing your 'CONCEPT PRODUCT' based on the delight factor. However, there is catch. All the 'hype' about product builds up their expectation (your audience/followers) — this expectation is sure to back fire if your 'TANGIBLE PRODUCT' does not live up to their 'IDEA of the PRODUCT'. This is common. It is happening more and more. "We've moved from an industrial economy to a consumer economy, to a service economy, to an information economy to what you might call a flagrant-exploitation economy — one in which branding and 'storytelling' have replaced advertising and possibly even reality. It's not just that we're being sold the sizzle more than the steak. It's that we're being sold the sizzle instead of and at the expense of the steak." creates a casual conversation center piece. NOTE: Clever points of distinction made by American Express — To prevent traffic cutting through this open floor plan, the flooring is raised with edge lights. Sub-consciously, the brain elevates this design in a category of exploration by invitation only. Why? This is an open floor plan, yet the isles are some what restricted — a good strategy if you have less staffers to staff your booth. This floor plan is also viable when you use your display design presence to be a place for your clients to talk about their problems. It puts the brand in a power position. Again, sub-consciously your clients are automatically put in a position of open discussion. The negative attitude they harbored about your product not working gently fades. Their brain is telling them — after all, the problem cannot be that paramount — the brand is willing to discuss it, not behind close doors but out in the open. Moral of the story: the more transparent you become as a brand, the greater is your power to sway your influence. Because, people will start talking about you. When you are launching a new product, it is a good idea to have one central structure that acts as an over arching brand highway and have an open lounge area, running along the perimeter of your isle space. Here the attendees can try out the products in a more relaxed setting. The products may be anchored onto the coffee table to help the laid back feeling of 'PLAY AND LEARN'. The good thing about this kind of space design is; you can keep an eye as to how your audience is reacting to your product. It also helps you add a layer to your exhibit design by adding jugglers and or magicians. 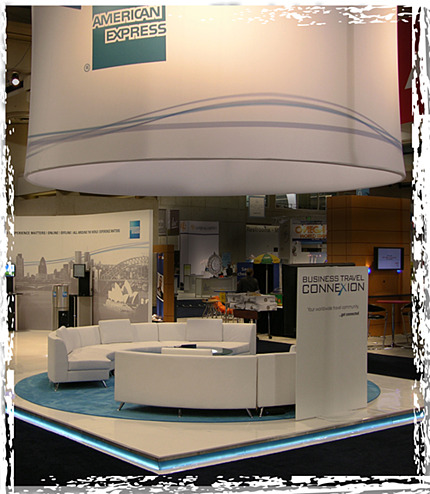 They help drive the enthusiasm of the space and builds energetic participation in your booth design. Seek out colors, textures, scents and flavors — you want to build out the space with the warmth of the human touch along with the passion of your brand personalities (your booth staffers). 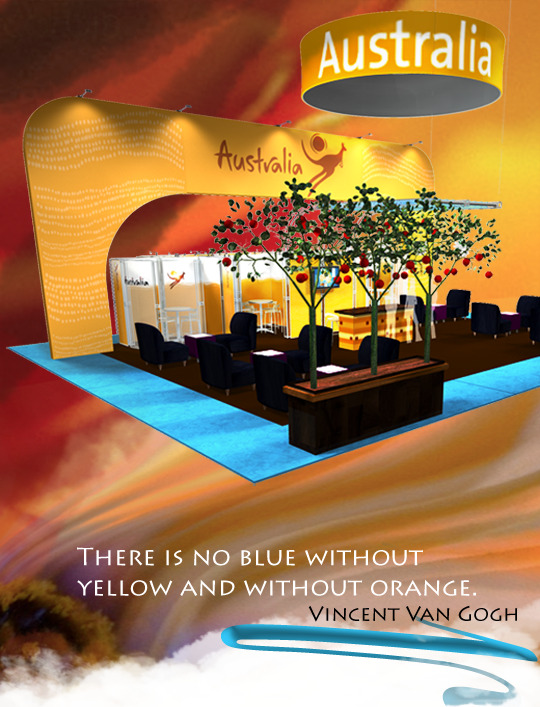 Ideally, to feel your way in the marketplace, you want to exhibit at a local show in a bigger booth space. It is much more easier to be the 'KING OF THE PLAY'. In his 2016 book Innovation and Its Enemies: Why People Resist New Technologies, Calestous Juma of the Harvard Kennedy School of Government argues that skepticism about technological innovation is essential to being human. “Resistance to new technologies is heightened when the public perceives that the benefits of new technologies will only accrue to a small section of society,” Juma writes. In your case, if you want a sustained brand appeal for the long haul, go beyond the product (which is all about technology). Speak to their imagination, their sensitivities, their appreciations of beauty, their hopes and fears, their "intuitions, imagination and leaps of faith” Because, once you embrace the product, you be come the product and soon enough you become a commodity being sold to the lowest bidder. Since you made it this far, here are some designs that caters to the 3 parts of the human mind — id, ego, and superego. All the design spaces below sets in motion a certain mood. 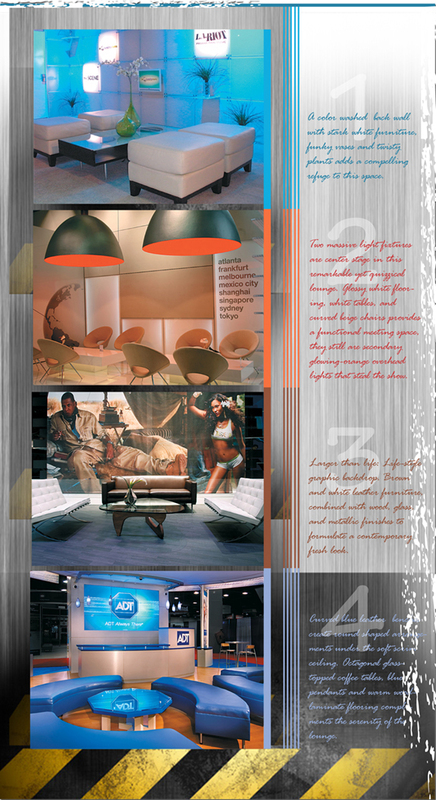 Think about the space inside your booth design that caters to the THREE parts of the HUMAN MIND. According to Freud, the Austrian neurologist and the founder of psychoanalysis, the human mind is divided in three parts: the id, ego, and superego. "The id is the instinctive and impulsive part of us we are born with, a primal self driven by basic desires and emotions—sexual craving, hunger, anger. The ego is strategic but not moral—like the id, it wants to maximize pleasure but the ego also tries to balance the primal desires with the demands of society. Finally, the superego imposes morality and values." IT IS BY TAPPING INTO THE SUPEREGO OF THEIR MIND THAT YOU WANT TO MAKE YOUR BRAND STAND OUT. So, go ahead DREAM OF GLORIOUS CAUSES. Start a movement, and make your space the epicenter of that movement. 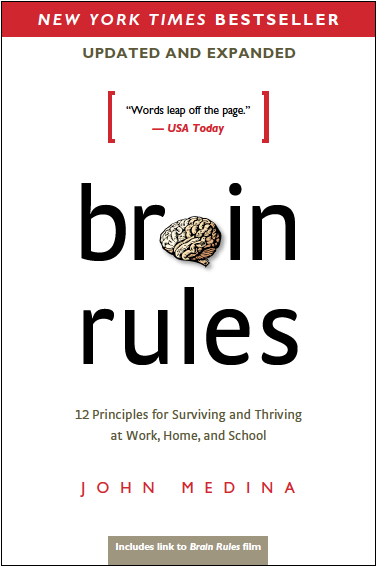 In his book, Brain Rules, Dr. John Medina, a molecular biologist, shares his lifelong interest in how the brain sciences might influence the way we teach our children and the way we work, play and explore. He states that THE BRAIN REMEMBERS THE EMOTIONAL ASPECT OF AN EXPERIENCE BETTER THAN ANY OTHER ASPECT. If you are wondering why your meetings are lacking the energy, now you know — you have been designing spaces to conduct business meetings that is directly opposed to what the brain is good at doing. If you want your attendees to listen to what you have to say, create a space that has exciting visuals punctuated with tactile extrapolation. 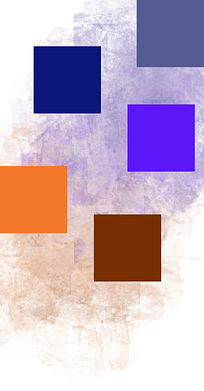 A SIMPLE DESIGN DELIBERATION THAT YOU CAN IMPLEMENT TODAY — If you are giving away T-shirts (which is a common gesture — make it about display art that pleasing to the eye — don't stack them. OR, for a change, design your giveaways around the concept of 'CARING AND ATTENTION GIVING'. Your audience is interested to know what makes your brand different. The more clearly and distinctly a brand can pin point it's difference the more exciting it becomes. Only, then it can spin a story to drive the points of differences. Your difference can be very small and simple. The reality is most products are virtually indistinguishable from their competitors. 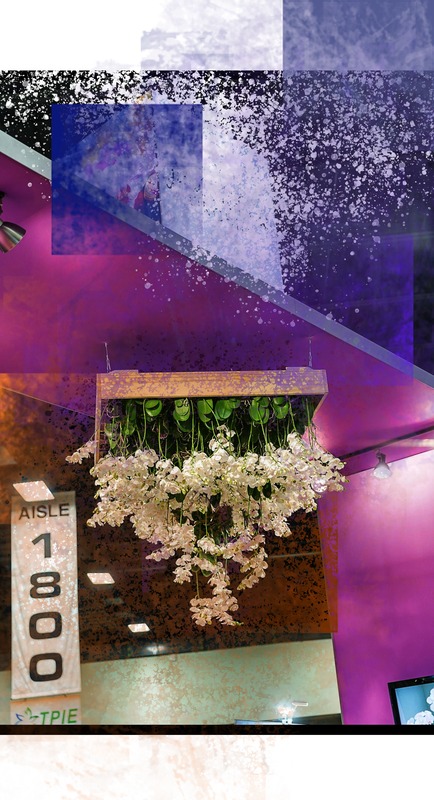 Next time, when the other exhibitors are using pendant lights, you think about hanging orchids from the ceiling and you build the story line of your product that rhymes with exotic nature of the orchid. MAKE NO MISTAKE YOU WILL HOLD YOUR CROWD CAPTIVE. 2. Women engage faster with faces and respond to direct eye contact. 3. Women process language more fluently than men. Text based promotions are an effective way to stand out from the visual clutter. 1. 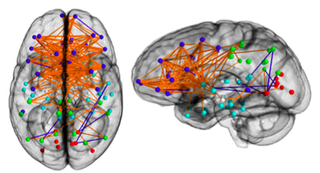 Men tend to resolve issue quickly, due to the strong connections between the “perception” and “action” areas of their brains. Keep your message, short simple and hyper focused. FOR YOUR DIGITALLY DISTRACTED AUDIENCE, SUFFERING FROM CONTINUOUS PARTIAL ATTENTION, DESIGN YOUR FLOORS THAT MIRRORS THESE SHAPE. IT IS BOUND TO BRING FOCUS IN YOUR SPACE — you can also design your giveaways based on how many times a person can go around the shape — it is an hypnotic experience, with out the chemicals. "Once one begins traversing the labyrinth, either by following it with the eyes, tracing its path with a finger, or physically entering it, one becomes “lost”, unaware of one’s location within the overall configuration."